-Used damp (wet it, and ring it out every time) it doubles in size. Most brushes, and spongers soak up a lot of extra product and unfortunately waste it, but since the beauty blender is already damp- it doesn’t waste your precious foundation at all, so you use less. Therefore saving money in the long run. -It’s perfect for blending out foundation, concealer, applying cream bronzers or blushes and setting your make-up to last all day with loose or pressed powder. – It’s the most hygienic product you’ll ever use. Let’s all be honest with ourselves, how often do you wash your make-up brushes? Once a week, doubt it. Once a month- more likely…and some of us (myself included) even less. However, the beauty blender is washed and clean each and every single time you use it. Since it has to be used damp. I either use the Beauty Blender Solid or the Sephora brand soap (a little cheaper) every morning to cleanse my BB. It takes about 30 seconds, and my skin and pores stay unclogged and clean. Bonus. -If you’re gentle when you was it, the BB lasts months and months. As does the soap. Also- I use the soap to clean the rest of my brushes so it can really save time. In the past 5-6 years I think I’ve gone through about 6 in total. -The finish is flawless. 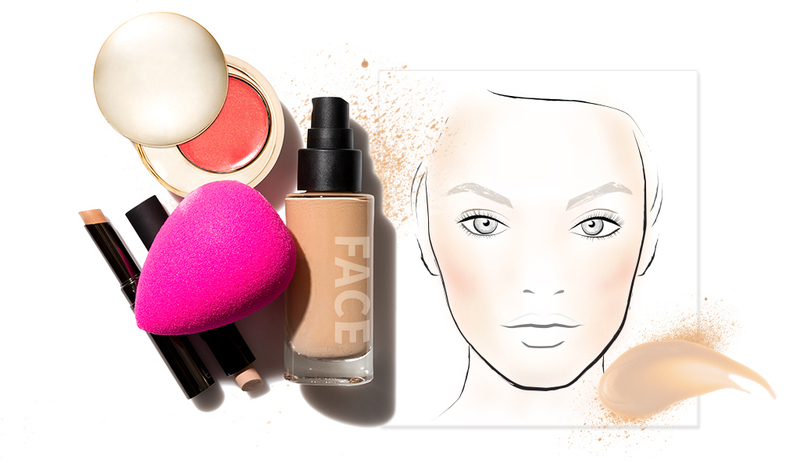 Wether you want full-coverage or a light wash of colour to even out your skin tone, it can do it all. Works with any foundation (water or oil-based) and is a dream at blending out your concealer especially at those hard to reach places (inner corner of your eye, and around your nose). They even make mini-beauty blenders, and specialized blenders for different products. But if you get the original- there is no need for anything else. So ask yourself….do you want to look airbrushed? #nofilter needed.